The Directorate of Technical Education (DTE) Maharashtra will release the provisional allotment of the first round of the state Common Entrance Test (CET) 2018 tomorrow, June 29. Candidates who have appeared for the exam can check their engineering allotment from the official website, dtemaharashtra.gov.in, once it has been announced. This year, the counselling process began in the first week of June, and the students have selected their preferred college through the official website. Now after the release of results tomorrow, students have to register in the colleges within the period time that will be mentioned in the notification. Step 3: Click on the notification for the first allotment. Earlier, the Directorate of Technical Education, Maharashtra has released the result for Maharashtra Common Entrance Test (MHT CET) 2018 examination on June 2, 2018. Abhang Aditya Subhash has topped the exam in PCM with 195 marks. The second rank is shared by four candidates, Rathi Khushal Vinod, Ameya Dileep Zarkar, Vakharia Priyesh Rajesh and Ruchirank, each with with 191 marks. 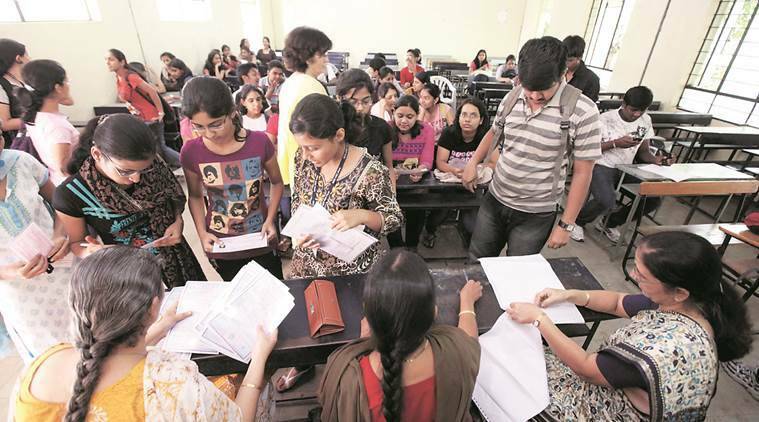 This year, at least 14 per cent more candidates had registered for MH-CET in the state and the total number of candidates in Maharashtra was over 4.3 lakh. MH-CET exams are a gateway for admissions to engineering, pharmacy, agriculture and hotel management colleges in Maharashtra.